Want to make a GUARANTEED 13% return WITHOUT RISK? 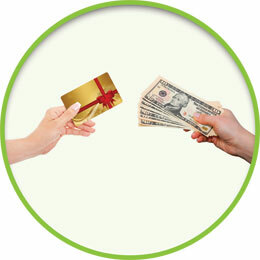 Now you can, with our integrated gift card BUY BACK program! 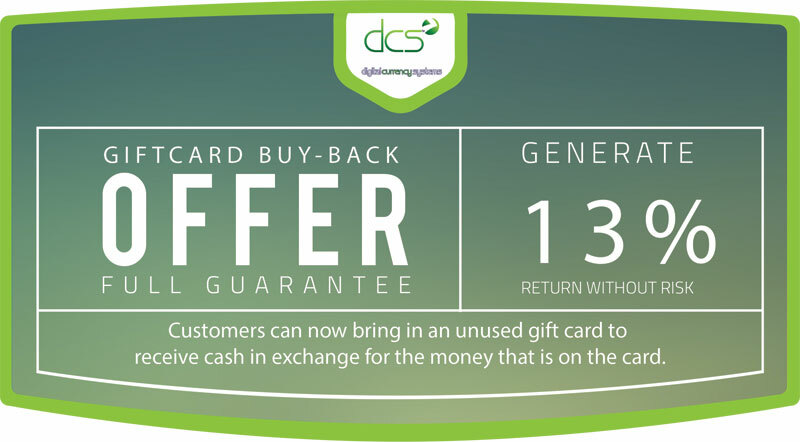 Your customers can now bring in an unused gift card to your store and receive cash in exchange for the money that is on the card. Agents receive roughly 13%* of funds dispersed to customer. 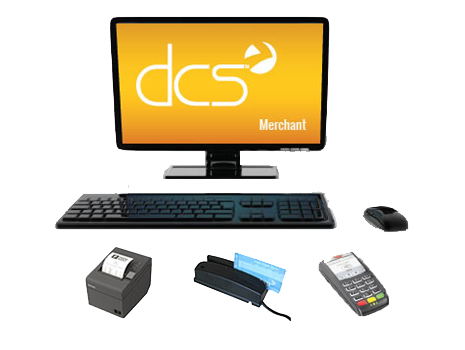 No more sending unused cards back to a vendor! Simply destroy cards on site. 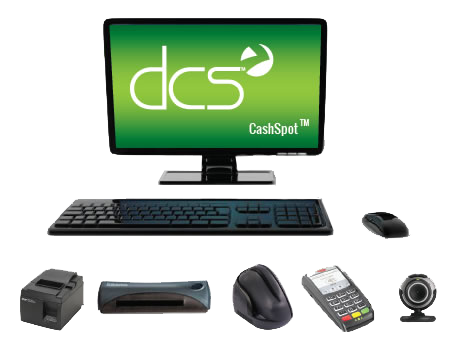 Reduce teller error and save time by not having to call vendor to determine card value. To help you reach your customers, we offer marketing materials upon request.